The Ground Round River Terrace room is available on a first come, first serve basis. We do not charge a room fee as long as the group that’s in there is dining. We typically require a minimum of 15 people to waive a room fee, but that is negotiable depending on availability and demand. 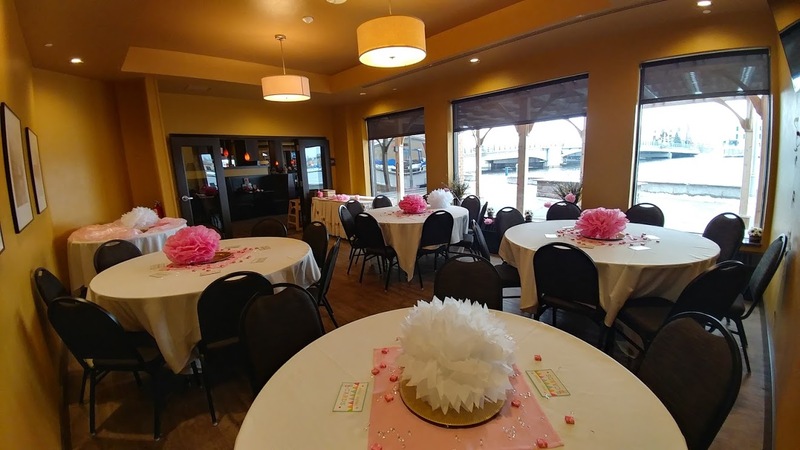 The room can comfortably seat up to 30 people and we usually have guests limit the dinner menu to 3-4 choices, or order off of our Party Platter Menu. If you are interested in officially making a reservation, or have any questions; please don’t hesitate to call 920-230-6300 or contact us online.